Denise Austin is the oldest active international player in the UK, gaining three caps for England in 2016. Even after winning the Oceanfest Queen of the the Beach in 2017 yet again, with a record breaking 13 out of 15 attempts at the title, she’s still not considering retiring! With well over 100 international caps, she still holds the record for the highest place finish on the World Tour for an English player, achieving 7th in Espinho Portugal in 2000. As a coach she is also writing the rule book, quite literally; having recently completed her very own beach volleyball manual. She is the Head Staff Tutor for the English Volleyball Association, training the next generation of coaches. Starting coaching aged 17, she has encountered thousands of people throughout her illustrious coaching career. Denise, now 49, is a pioneering coach and developer of local, regional, national and international programmes for beach volleyball. She has coached all levels of players, from primary school children during her six year term as a Community Development Coach, to an English team at the World U17 Championships, where they achieved the highest place finish for an English youth team (9th). She regularly coaches adult beginners, internationals and children of all ages. Sam Dunbavin is an experienced international player and coach from North Devon. Sam, 21, picked up the game at 10 years old, and hasn’t stopped playing since! Sam has been playing on the adult VEBT since he was 14, and is now regularly competing across the country to win those events. In 2016, Sam made his international debut for England, and is looking to play professionally once he has finished university. Like his playing, Sam came early to coaching. At age 13, he was already helping coach younger players at the local club, and at 16 he was beginning to coach adults for the first time. He has coached all over Europe, and speaks English, German and Spanish fluently, having coached in all three languages. Sam is an assistant coach for the England Junior national team, and brings a real passion for the game to everything he does. He prides himself on making all of his sessions fun, interactive and engaging. Alongside his volleyball, Sam has also found time to study as well; he is about to embark on his final year at Cambridge University, where he is studying German and Spanish. In fact, he has returned to Croyde just in time for this summer, after living in Austria all year! 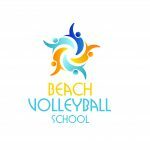 Matthew Rhymer is currently a Level 2 Volleyball coach and has been coaching with The Academy of Beach Sports club for several years, having played with the club and the local college team during his time as a student in Barnstaple. In 2016, he was selected as the National Head Coach for the England Junior Girls programme, which has seen him jetting around the world coaching the best young players the country has to offer. Matt is a PE teacher by profession, and, although under pressure from a full work programme, he has found time over the last 3 years to lead the local volleyball team to unparalleled success; he has coached them to three successive promotions, national cup success and helped many to achieve selection for the national team. Although slightly vertically challenged, Matt constantly pushes some of the top teams in the country in VEBT competitions. He prides himself on out-thinking the big teams in the competition, using his extensive volleyball knowledge to his advantage. His enthusiasm and passion for the game is clear from his energy and dynamism around the volleyball court, making him a natural coach.